So I wasn’t exactly looking forward to this challenge, partly because I thought it was a bit boring… I mean it was just a shiny, metallic thing, no real substance or excitement to it. I was wrong… I like this idea. A lot. I started off trying to decide between this and gold polish, but this won out simply because this is the one I hadn’t tried yet and I wanted to go for something new. 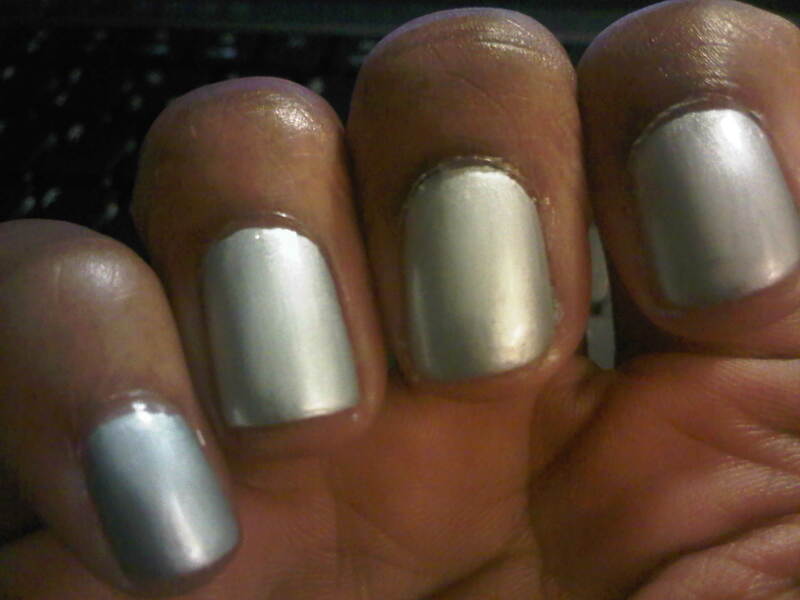 From the first coat of this polish, I could tell I was going to enjoy the outcome. It was quite a good coverage, with only one coat. 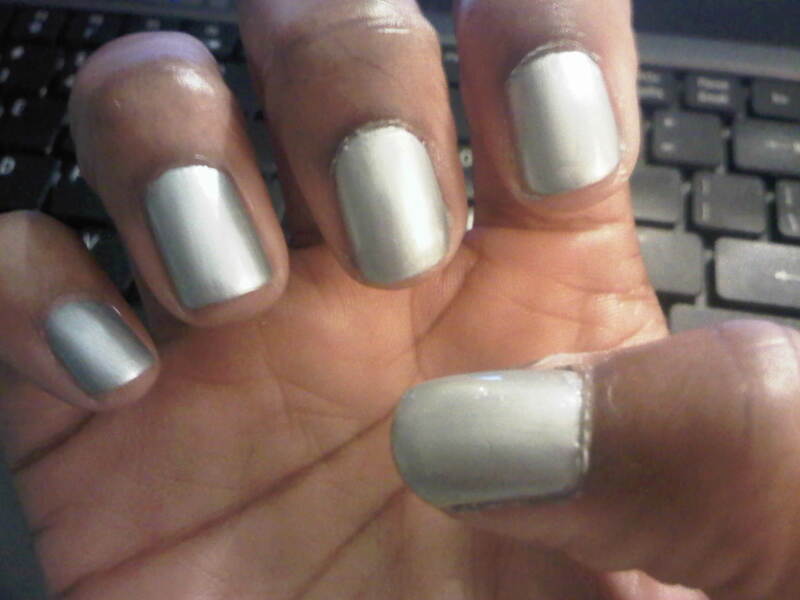 I added a thin second coat, simply for durability, not for color payoff. 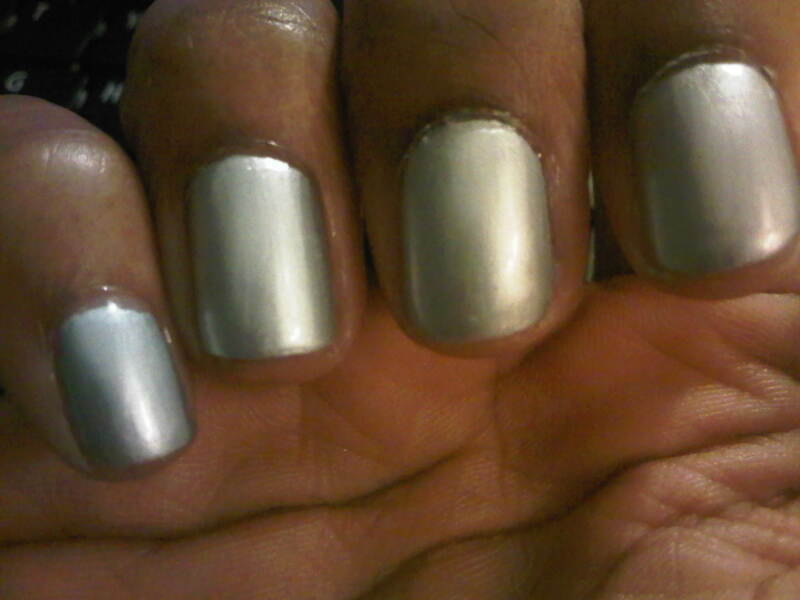 I love the overall concept of this metallic nail. It actually looks so sophisticated, as opposed to my first thought that it would look childish or cheap. As usual, thanks for stopping by. 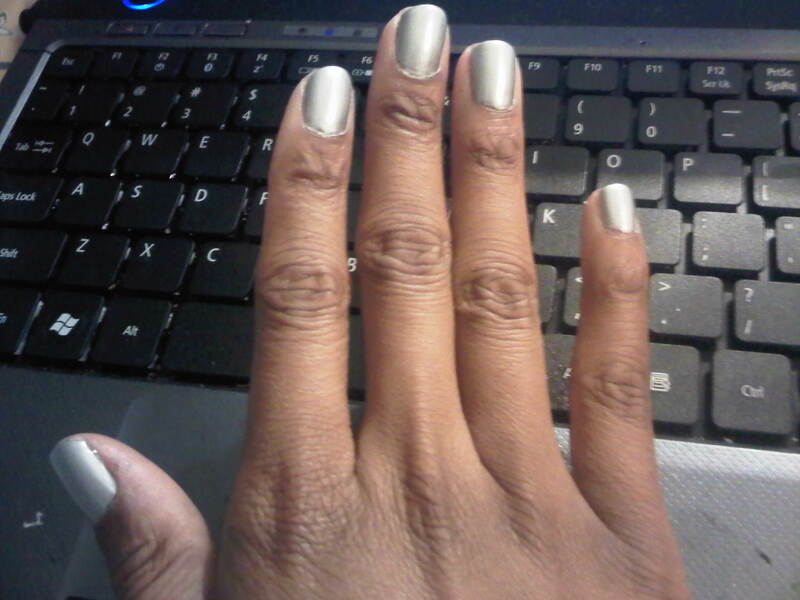 Please let me know if you’ve every tried silver nail polish, and if so, how you like it. Don’t forget to like and comment for upcoming posts, and join my social networking family to get the lastest updates on twitter @iluvbeautie425 and instagram @kammie876. Have a great night! !